gorgeous pictures from the parade!! I agree with you, Rapunzel is the most beautiful in that bunch of Princesses!! It has always amazed me how they find these Princesses. Each of them have the perfect face for a Pricness. High cheek bones, perfect smile, smiling eyes. I always wanted a shot at being a Princess in Disneyland. So much fun! I keep forgetting that they're actually "working" and not playing. Great pictures Diane. Wow those are great pictures from the parade. I wish they wouldn't use wigs on the princesses, well except Rapunzel. She is definitely the prettiest. But the wigs make them look silly I think. I suppose they look more like cartoons that way! Anyway, this is the 3rd time that I tried posting a comment here. Everytime I tried to, some ads blocked this comment box. Whenever I clicked, instead of having a space to write my comment, nag-oopen ng bagong window ng ad. Yung Churp Churp ad.. hehehe. Thanks for informing me AC. Another blog friend also encountered the same problem. I'm still trying to figure out things. Hopefully maging ok na siya. Hi Diane! OH, I love your pictures! And those ladies are so pretty,aren't they? We took our children to Disneyland many many many years ago. I'm so glad I was able to get to your blog. The last few times I've tried to comment I was not able to get to your blog! Yay! I was this time. What a fun post Diane! I love Disneyland. No matter where it is, it brings out the kid in all of us. 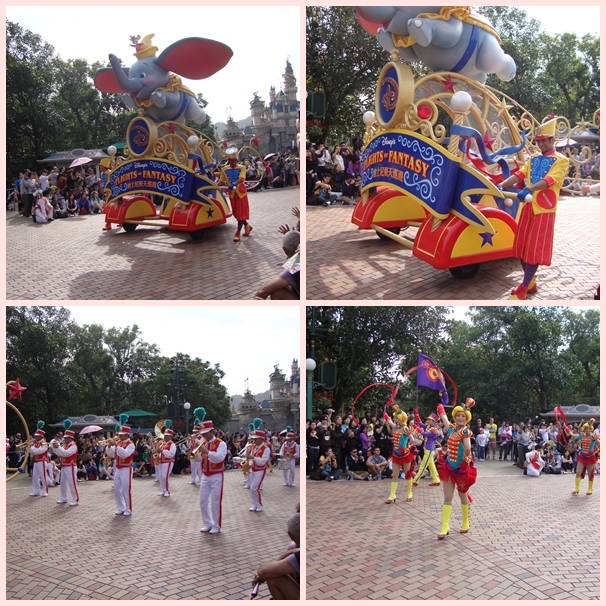 I always love the parade and seeing the characters is a must! You got some great pics. A truly amazing place to visit. You have some wonderful photo memories too. Looks like soooo much fun!!! You have the best adventures! disneyland does really make us feel young. enjoyed your pictures. what kind of camera do you use? Oh, boy! Headed to Hong Kong in June! We may just have to go. Price? Just to say, "We've been!" we went there 2 years ago but missed the parade because I can't remember why! sayang.